Known as the actress who waited in line behind Betty Grable and Alice Faye for musical roles if either of them wouldn't be able to take a part. She had a supporting role in Home in Indiana and co-starred in Where Do We Go From Here? She signed a contract with 20th Century Fox in 1943 but was dropped after she made her film debut in The Gang's All Here in an uncredited role because she looked too young. She changed her look in order to get resigned with the studio. She had starring roles in The Daughter of Rosie O'Grady and I'll Get By in 1950. She was married to first husband Jimmy Zito for only a year and later married Fred MacMurray and was with him until his death. 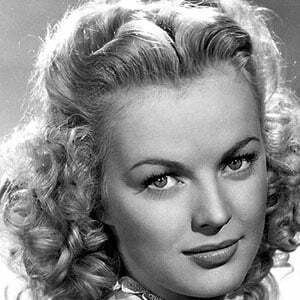 She appeared in the low budget comedy Love Nest with Marilyn Monroe.